BARRICK Gold confirmed it had “reviewed the opportunity” of merging with Newmont Mining in an all-share nil premium transaction. It added that it hadn’t taken a decision on whether to press ahead with the deal. The possibility of Barrick moving for Newmont was first reported by the Globe and Mail earlier today. It speculated Barrick would flip some of Newmont’s assets to Australia’s Newcrest Mining. Under the potential terms, Barrick would keep Newmont’s Nevada and African mines, while Newcrest would take over its Australian operations, it said. Barrick, which spent $6.1bn on buying rival Randgold Resources last month, has formed new management teams and cut administrative costs as part of new CEO, Mark Bristow’s plan to set the combined company firmly apart from peers. 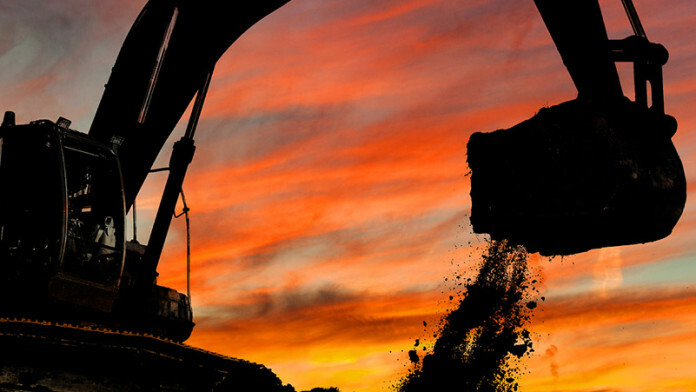 Bristow has said on a post-earnings calls that Barrick Gold would continue to look at merger and acquisition opportunities, but believes that the Canadian miner “has enough growth potential in-house,” said Reuters. Newmont Mining is currently completing the takeover of Goldcorp. The major attraction of doing such a deal was the impact of the two companies sharing their Nevada processing facilities. According to Bank of America Merrill Lynch, which issued a note based on the newspaper article before Barrick commented, some $1bn in savings could be achieved on the Nevada asset-sharing. This would easily justify the $650m break-fee attached to the Goldcorp deal, said John Bridges, analyst for JP Morgan. He added that the deal could find favour with the Canadian investment community who fear the loss of Goldcorp from their screens. However, a nil premium offer – about $19bn for Newmont – would have to win the support of Newmont shareholders, bearing in mind this was a hostile approach, said Credit Suisse. It also asked whether Barrick would press ahead with the transaction considering it was still integrated Randgold Resources, a merger approved on January 1. Excluding Newmont’s Australian assets, which the Globe and Mail said would be sold to Australian firm, Newcrest Mining, and possibly others, the Newmont-Barrick merger would see production under one banner of some 9.2 million ounces for the 2019 financial year. There would also be savings on G&A of $240m and $430m in exploration costs. Barrick and Newmont explored the possibility of a merger between them in 2014 but it didn’t materialise as the sides couldn’t agree on management duties and where the combined company would be headquartered. I just glossed over the article, so might have the wrong end of the stick? No need to publish the comment, just ignore or correct whichever is applicable.